For many years I used a foaming face wash with exfoliating beads or granular particles, thinking that the more foam and scrub action it had, the cleaner my skin would be. I really hadn't given much thought to the fact that those elements could possibly be too harsh for my skin. After going through two bottles of Reviva Labs Organic Cleansing Milk, I found out that I don't need foam or exfoliating beads for a clean, fresh face. I also love the fact the Reviva's products are all natural and cruelty free. 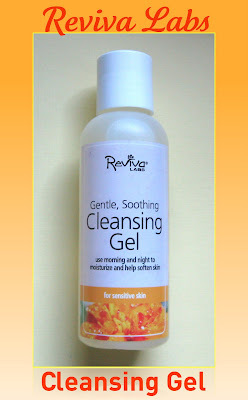 I recently ran out of the Cleansing Milk, and I've been using another Reviva face wash, their gentle, soothing Cleansing Gel for Sensitive Skin. This product is a liquid gel-type formula that doesn't lather up much at all, but still manages to give my face an effective cleanse. It has a very light fragrance that's barely noticeable and it rinses clean easily. This cleanser is more moisturizing than others I've used, to the point that my skin feels soft enough to go without moisturizer. 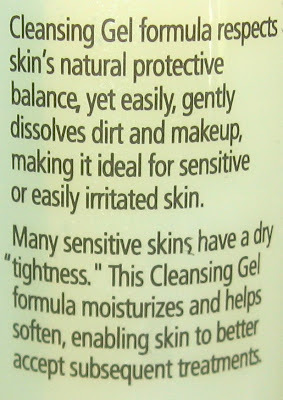 However, I do still use moisturizer simply because I want to do everything I can to ward off the aging process! Purified water, cocamide betaine, glycerin, lanolin sterol, cocoa butter, aloe vera gel, polysorbate 20 (lauric acid), ethyl cellulose, allantoin, potassium sorbate, sodium benzoate, citric acid, orange flower extract, caramel. My skin is not particularly sensitive, but this cleanser easily removes all of my make up without any trace left on a cotton ball soaked with toner used after cleansing. I also like the fact that it's filled with moisturizing ingredients to help in my never-ending battle to fight the signs of aging on my face. *Product featured was furnished by the manufacturer for review. 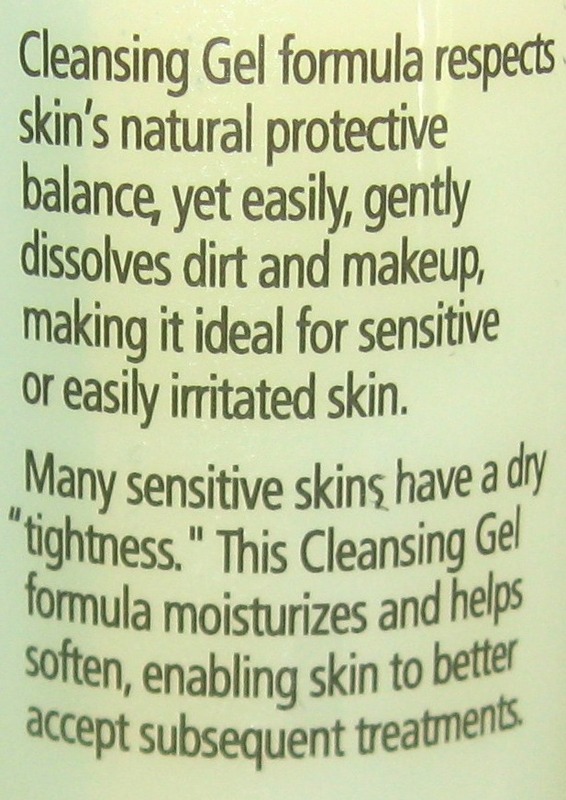 I just reviewed their makeup primer and in the past reviewed a line of Reviva Labs skincare. I just LOVE their products!